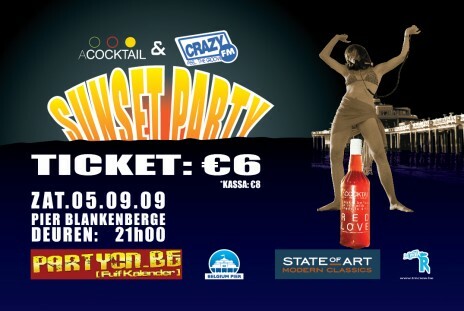 The Sunset Party was a party to promote a brand new cocktail, in collaboration with a local radio station. 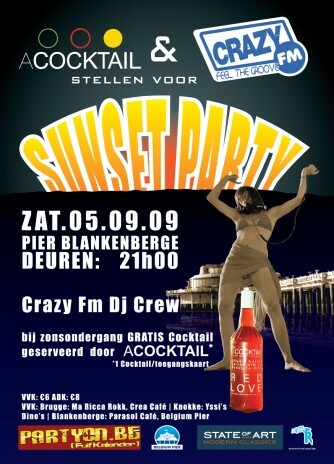 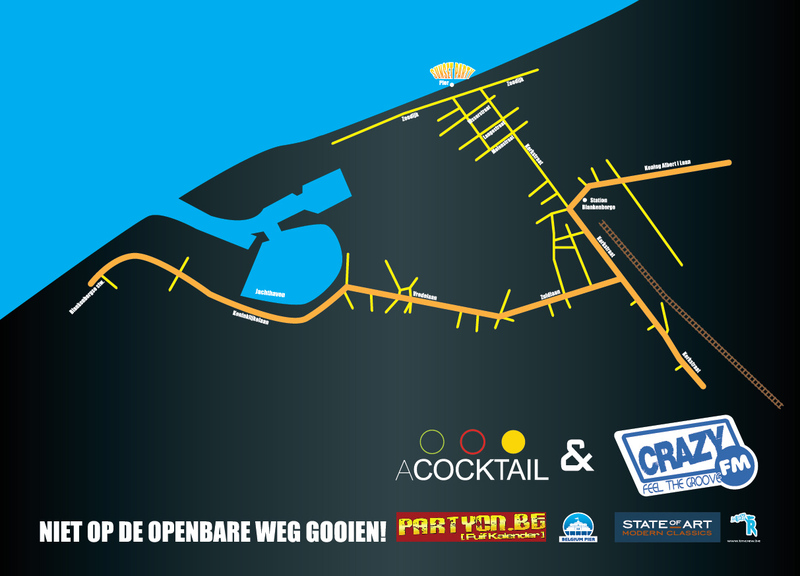 The party took place at the pier of Blankenberge and was broadcast live on local radio. 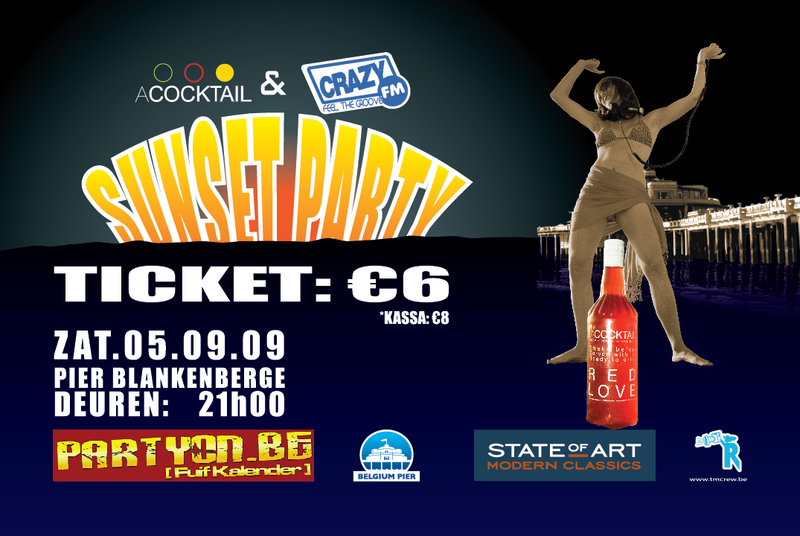 These are the poster, flyer and ticket.